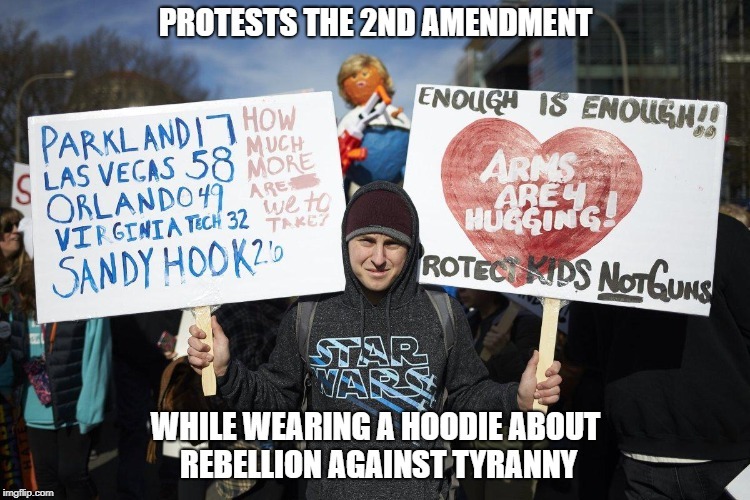 We can hug our guns also. Not only that, but as any responsible gun owner knows, it is vital to protect your guns. You need to protect them from theft as well as protecting them from rust, etc. In the days and weeks following the February 14 shooting at Marjory Stoneman Douglas High School in Parkland, Florida, the National Rifle Association saw a significant spike in donations. In fact, reports from the Federal Election Commission show donations to the NRA's Political Victory Fund tripled from January to February. That’s awesome. Is there a way to see how many new members joined? Man I hope NRA puts out a "Support Report" or something similar showing the donations and # of members across those two months. Had to make sure my finances were in order first... just upgraded to Endowment Member... and registered for the Convention in Dallas. Can't wait!